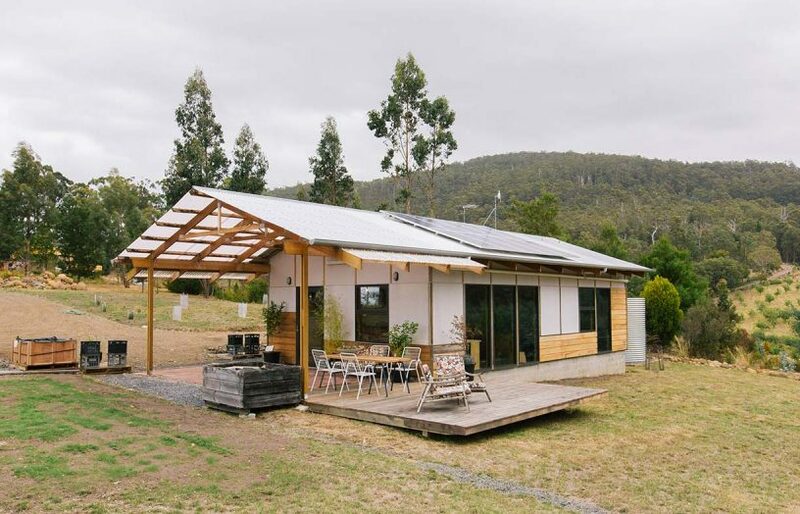 Set on a bush-and-paddock block south of Hobart, this little home was built for just over $100,000. 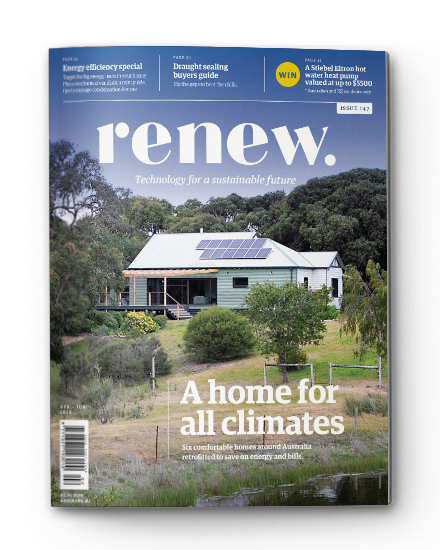 External cladding is cement sheet and timber from the site that had to be felled for bushfire mitigation, and 2.8kW of solar helps power the house. 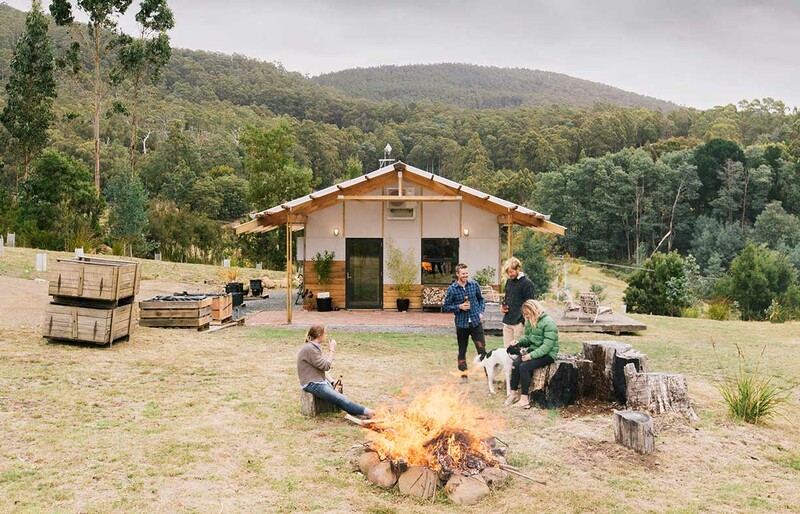 Good design need not be expensive – as architect Andrew Kerr demonstrates with his Tassie ‘apple crate shack’ built to 7.1 Stars on a minuscule budget. We rarely scrutinise the language we use when discussing our current or future housing. We talk about our homes in terms of desires and couch those in words and phrases that have entered the vernacular. ‘Forever’ and ‘dream’ homes are arguably media-derived terms, now commonly used to elevate the desirability of owning a home, just as features, including the number of bathrooms and bedrooms, are frequently more about future market value than our actual housing requirements. Andrew Kerr wants to challenge how we think about our homes. 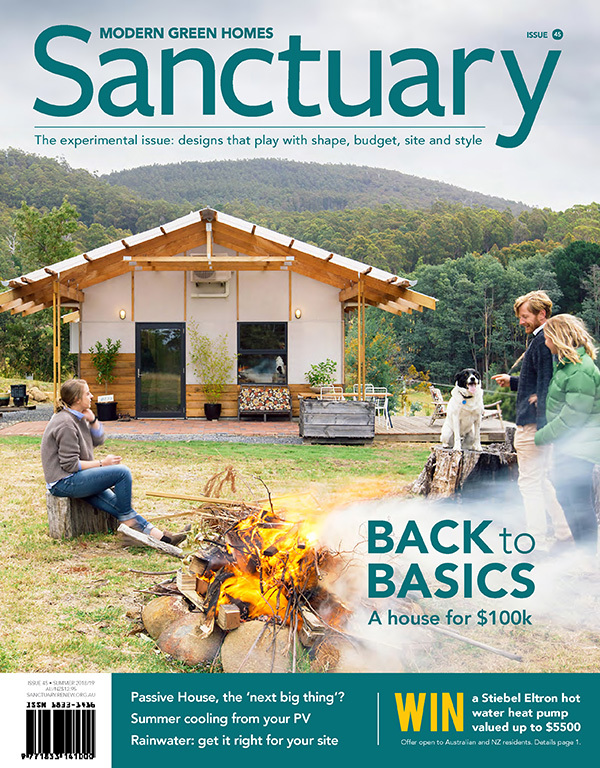 The Tasmanian architect believes we need to reframe our language and talk in terms of needs over wants and adequacy over excess when planning to buy or build a home. And amid Australia’s ongoing housing crisis, Andrew has put his money where his mouth is. 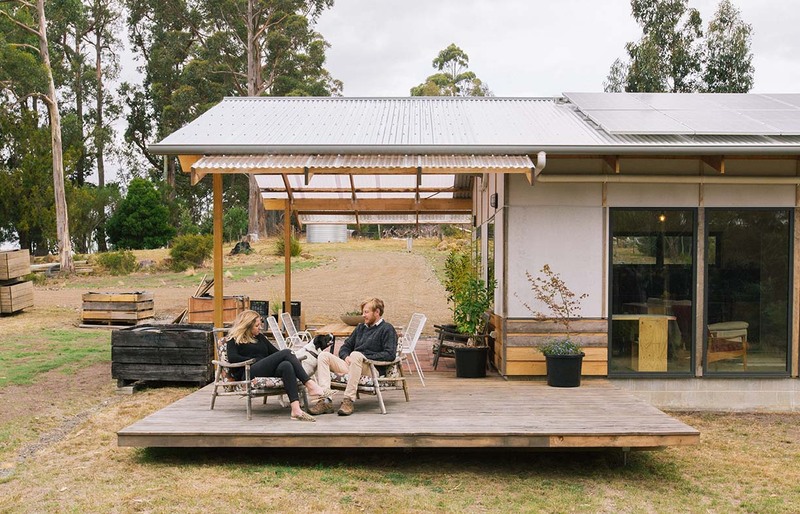 Wanting to demonstrate, primarily to younger Australians increasingly locked out of the housing market, that there is more than one route into home ownership, Andrew challenged himself to build a 60-square-metre house for $60,000, and then made his quest a public exercise. Calling it the 60k house and starting a blog (60khouse.com.au), Andrew documented the entire build over two years in what he calls “an investigation of ideas” and a demonstration of adequacy. In this low budget build, the bathroom offers a touch of ‘wow’ factor with its generous glazing and freestanding bath. A bit of lateral thinking with the plumbing fixtures allows Andrew to shower either inside or outside as the mood takes him. Andrew purchased the 1.5 hectare block of bush and paddock in beautiful Flowerpot, 42km south of Hobart on the D’Entrecasteaux Channel back in 2009, but had no intention of building anything substantial on it. However, an announcement that the Tasmanian Government’s first home-builders grant was going to be wound back jolted Andrew into action. “The prospect of $30,000 free from the government prompted me to think about building a fair-dinkum house,” Andrew says. What Andrew did build is now closer to a 100k house. 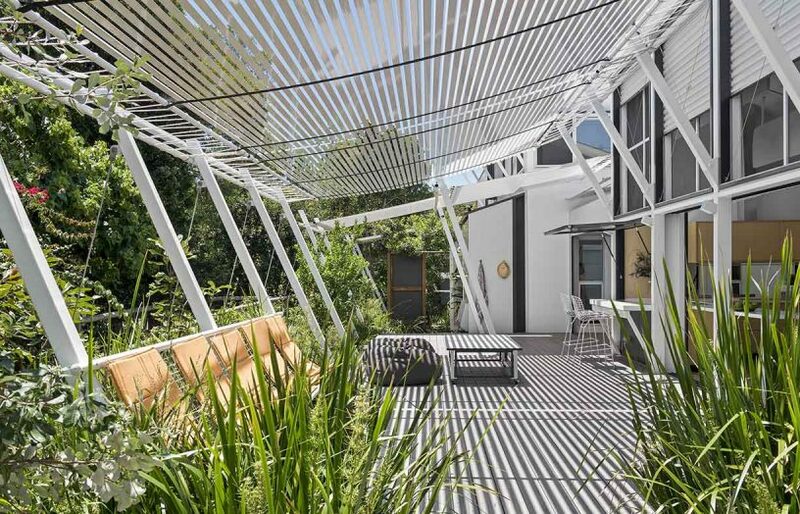 As with any construction process, a design evolves, there are setbacks and even changes in outlook. During the build, Andrew, who hails from Gordon, 13km south of Flowerpot, decided to make the house his permanent residence rather than a weekender as initially planned. And, as such, a little more was invested. 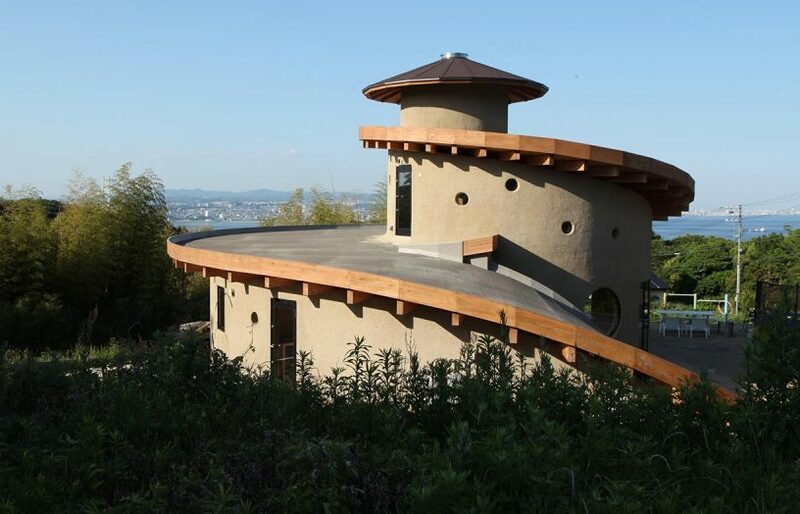 He polished the concrete slab, improved the building’s thermal efficiency and liveability and installed solar panels. 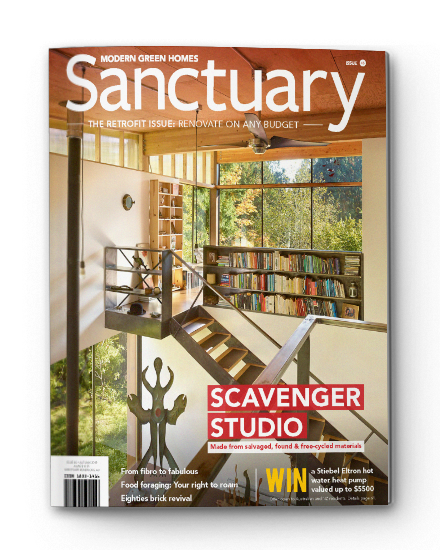 The now completed home is a remarkable achievement, given its modest budget, and demonstrates that less can be more. At each stage of the build – design, material choice and construction – thought and consideration always came back to the core questions of needs over wants. But the end result is something much more than a simple box of practicalities, demonstrating that good design doesn’t need to be expensive. With a generosity of space thanks to three-metre raked ceilings and a brick feature wall between the living area and bedroom built to two-thirds height – allowing for spatial flow – the house feels anything but pokey despite its small footprint. 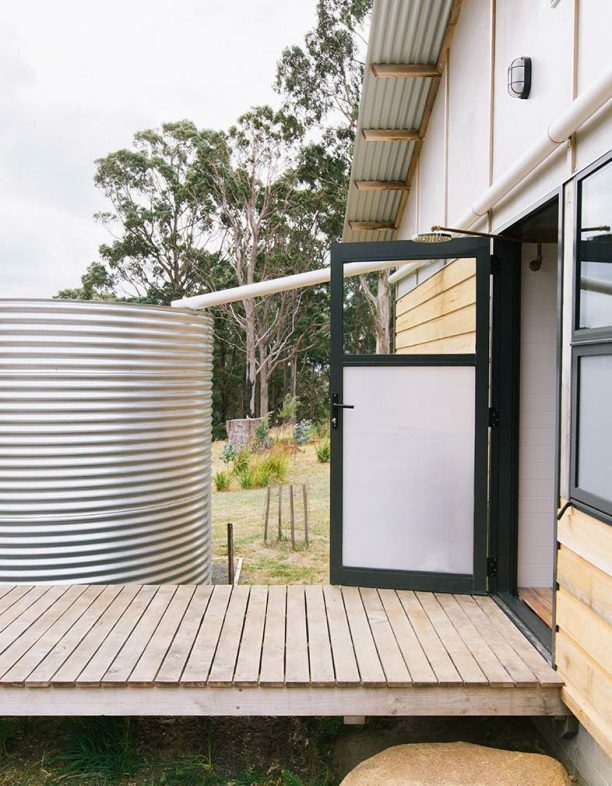 Northerly orientation and generous double-glazing in the kitchen-living area and bedroom, combined with a polished concrete floor, create passive-solar efficiency to the point where the one reverse-cycle heater barely needs to be used. A calming palette of natural materials and thoughtful connection to the site through creative outdoor spaces allow the home to meld beautifully with its rural surroundings. All of this careful design creates a wonderfully unified small package where, apart from the bathroom, there is little in the way of ‘wow’ emphasis. 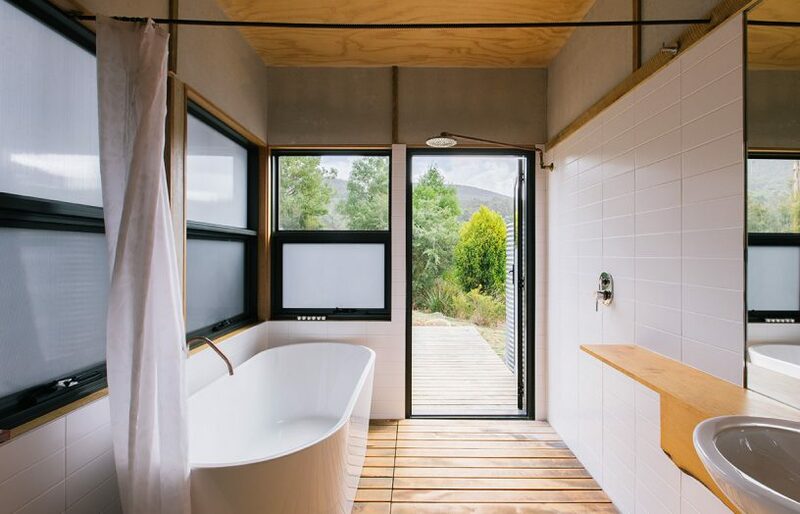 The bathroom’s generous glazing, a freestanding bath and an innovative shower configuration, allowing indoor or outdoor showering from the same head over Huon pine duckboarding, has created a bathroom that has been described as a “little touch of luxury”. Such descriptions have prompted Andrew to question our definitions of luxury but, considering the minuscule budget, the final result is worth highlighting. 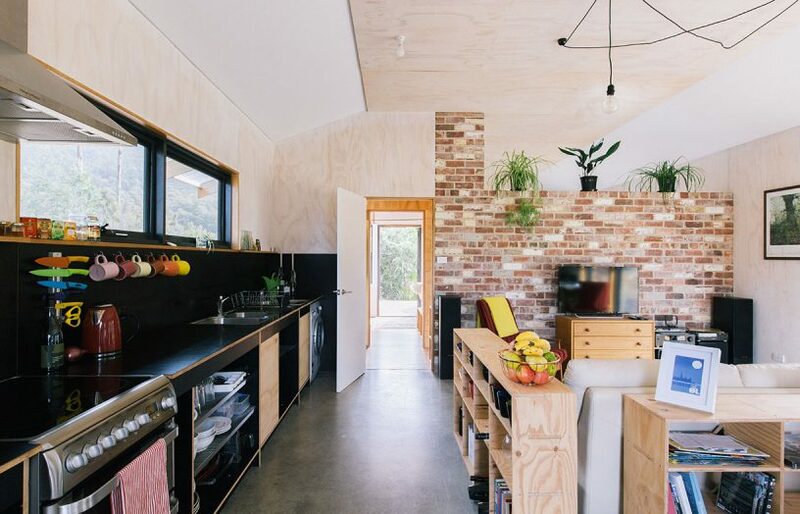 The compact house – with a footprint of just 61 square metres – achieves a generosity of space with high raked ceilings and a two-thirds height recycled brick internal wall between bedroom and living area. Designing the house around the size of the plywood sheets used for internal lining cut down on building waste and saved money. Flowerpot and the surrounding villages have long been apple-growing areas and Andrew’s home aligns with what he refers to as the “apple crate aesthetic”. The house is built around the size specifications of plywood sheets and materials are sourced locally or secondhand, measures that drove economy in the use of materials, cut down on building waste and, ultimately, saved money. The ultimate expression of the aesthetic here though, was through the milling of onsite timber, felled for bushfire mitigation reasons. This timber was cut and installed at the width of an apple crate as weatherboards on the exterior – which gave the home its name: Apple Crate Shack. 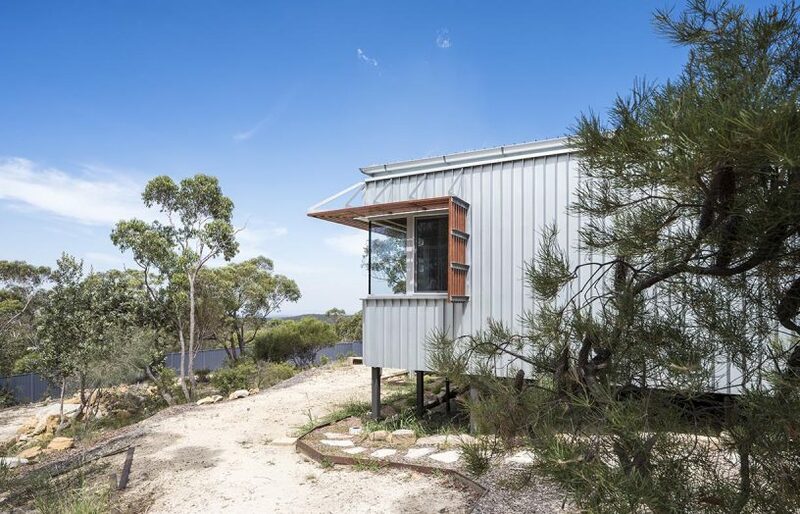 There are numerous architectural expressions that could have been made on this beautiful patch of Tasmania, but Andrew’s approach is one that is true to himself. First – he is a keen traveller and didn’t want to load himself up with housing debt. Second, and admirably, he wanted to challenge our orthodox and “conservative” thinking of what we actually need in a home. It may be a small home, built on a very small budget, but the Apple Crate Shack contributes hugely to our national housing conversation. It’s a conversation we need to keep having. 2.8kW photovoltaic grid-connected rooftop array from Solahart, CGA Tas. Includes 10 x 280W panels and Sunny Boy inverter. Optimised orientation: north-facing for maximum north-facing glazing/solar gain. Eaves overhang calculated to permit maximum winter sun deep into the building; shades summer sun. Insulated polished concrete slab and internal recycled brick wall for thermal mass. Natural cross ventilation throughout. Fujitsu 5/6kW reverse-cycle heat pump. 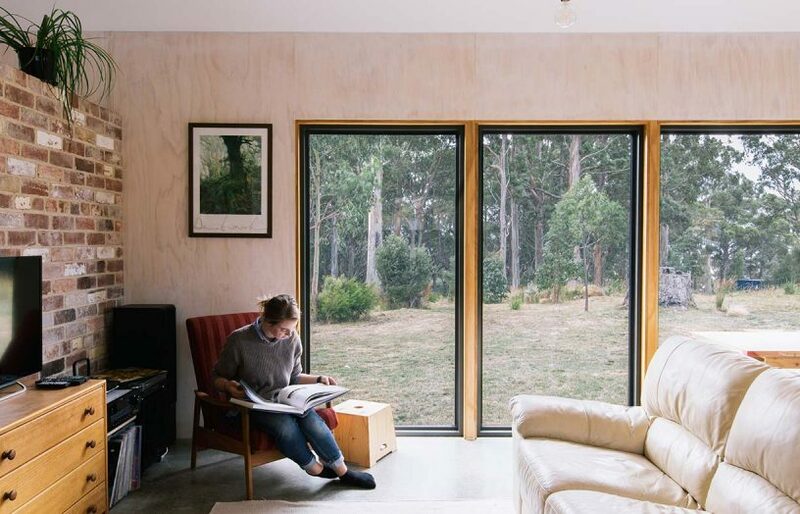 This mountain home demonstrates how you can achieve thermal comfort and energy efficiency despite being oriented to the east and unaided by thermal mass.